We moved from Auckland, New Zealand to Sydney, Australia. My partner and I had travelled to Australia a few times individually but, never as a family and now we had 2 kids. I received a work offer from the Australian office of the same company I worked in NZ, the offer was good enough to not refuse. We were both excited and anxious by our move. It was daunting as we had a house in Auckland which we had lived in for 6+ years, we felt settled so it was nerve wrecking, especially for my wife. Looking back at it now, we definitely think the move was worth it, we put a lot of time and effort to research and make sure our relocation was painless and cost effective. We documented our research and are glad to be sharing it with you. Please feel free to use it as you please. This guide is written for those moving from New Zealand to Australia though most of the suggestions would be useful if you are relocating from any other country. This will definitely save you time, money and headache. What does this guide cover? How much cash can you carry into Australia? Comparison of exchange rates from different banks. What is the Salary like in Australia compared to New Zealand? What if I don’t have New Zealand Citizenship? Why do I need to Apply For A Permanent Residence Visa? How do I know which visa to apply for? Applying for an Employer Nomination Scheme (subclass 186)? Please make sure you have cleared all your debt, you don’t have any pending fines or tax due. If you have a students loan you speak with the authority and cater for that. Please go through this section to understand what steps you need to take. What you do with your money can be hard decision to make but we have done all the research to make it easier for you to decide. Ideally you want to get the best deal when it comes to converting New Zealand dollars to Australian dollars. We share our experiences with you from opening up an account in Australia from New Zealand to the best ways of transferring your money to get the best possible return. In this section we show you an exchange rate table each bank have for today so you can easily compare to see who’s got the best rate and then go directly to the best bank rate instead of having to go to each bank to check the rates. For me I was offered a job in Australia by the same company in New Zealand whom I was working for, so it made the move that bit easier, however finding work in Australia is pretty much the same as finding work in New Zealand. We share with you some great websites that can get you started. Shipping your belonging overseas can be quite overwhelming but it doesn’t have to be. We share with you some helping tips and advice to make it easier for you including tips on how to manage your belongings so it’s more cost effective for you to what happens upon arrival in Australia. In the beginning it can seem daunting trying to find somewhere to live as there are so many things to think about and if you’re new to Australia and don’t have family or friends to help you it can make it even harder. Our advice is to choose a short stay accommodation for the first week or two which is what I did or a motel. This way you can spend that time exploring different suburbs and doing your research before deciding on a house to rent, especially if you have kids you may be considering good schools and family friendly suburbs. Before or soon after you start work you will need to get a tax file number (TFN). The main tax you’ll pay is income tax, which is charged on income you receive, such as salary and wages. This section will show you how to apply for a tax file number. This section also talks about Superannuation which refers to the planning which people do in Australia to have money available for them in retirement. This section shares some tips and advice. You can open a bank account in Australia from New Zealand. This section explains some of the banks that allow you to do this from New Zealand and explains what you need to open a bank account. If you’re a New Zealand Citizen then you don’t have to apply for any visa. You can come and you will be granted with a Special Category Visa (SCV) on arrival. If you are not a New Zealand citizen then you need to read this section which will explain what you need to do. This section also explains what to do if you want to apply for Australian permanent residency. Make sure you don’t have any debt in New Zealand, If you do, make sure you make some arrangements to manage it. If you have a students loan, make sure you make arrangements for that as they are your obligation. You don’t want to be arrested when you come back. You can transfer money regularly from Australia to pay it off. If you are receiving pension, paying child support, have other government benefits make sure you contact IRD. If you have any pending parking tickets, fines, etc, make sure you pay them. Here is a good guide for things to do in New Zealand provided by the government. You will need money in Australia as soon as you land, and quite a bit of it till you get a job or your first pay. I would say if you don’t have a job, you will need enough money to support yourself for at least 3-5 months, you will need to pay your rent, food and other bills. As you are moving considerable amount of money, you want to make sure you transfer it the safest and in the most economical way, lets face it you want the most Aussie dollar you can possibley get for your NZ dollar. You can open up a bank account from New Zealand, I was banking with Westpac in New Zealand, however Westpac Australia didn’t allow me to open up an account from New Zealand which was a bummer, CAB were more accommodating, Refer to our Opening bank account section. We ended up opening an account with them and are banking with them now. In terms of transferring money, you don’t want to carry cash or travellers cheque, anyways who carries cash now a days. You can transfer money through a bank transfer from a bank or a financial institute. It pays to shop around and find out who gives the best rates. Even a small transfer rate difference can save couple hundred dollars. When we were doing our research we got exchange rates from most of the banks, ASB, Westpac, even Kiwi Bank. Of them all Westpac gave us the best rate at that time. However when we compared financial institutes, we found the rates a lot better than the banks. Also as they were smaller entity you can speak with then and bargain even better rates, something banks don’t entertain. For us it worked out the more we transfer the better rates we can bargain, so in general its better to transfer one big sum than few small sums. Based on our shopping around, we found Forex gave us good rates compared to other banks. New Zealand citizens can live and work in Australia without a visa. For more details check the Special category visa section. The most popular job website is Seek which is a good thing because most of us in New Zealand are already familiar with it.The Seek job website that we have in New Zealand is the same Seek website in Australia and it is the number one source of jobs in Australia. It’s also worth considering that those people who come from New Zealand who have a Special Category Visa that allows them to work but don’t have Permanent residency (PR). If you want to eventually apply for a PR in Australia there is a skills shortage list on the Australian government website so if you have a qualification that is listed on that website then it will help you to get a PR quicker, therefore it’s probably better to try for jobs under that category as you would stand a better chance to get one. When you apply for a PR it’s a points system so you get points for your education, your job skills, how much work experience you have, what your age is and you have to make 60 points. You also get points based on where you work if you are in a remote region like Western Australia or Northern Australia or Central Australia where there are not many people you get extra points as they want people to not just go to Sydney and Melbourne but they want people to go to Perth and Adelaide and different places. So it might be worth considering applying for jobs in those places. Even if you find a job in Canberra you get an extra 5 points because they want people to live in remote areas so if you want to find a job that might help. Make sure you file for TFN number as soon as you arrive. TFN number is just like IRD number that we all have in NZ. As soon as you start the job and before your first pay you will have to give this number to your employer. For more details check the Salary, Tax and Superannuation section. We have created a table to show you a comparison of the average salary in Australia compared to the average salary in New Zealand. We have taken 6 popular job sectors including Accounting, IT, Child care, health, Construction trades, Sales Assistants & Salespeople and researched to find out what they would they be paid in Australia compared to what they would be paid in New Zealand. We have included information about the minimum pay in Australia that the government has set compared to New Zealand’s minimum pay so a company cannot pay anyone less than that. The minimum wage a week and hourly rate in Australia and New Zealand is given. Shipping your stuff to Australia will cost money. You would as was the case with us discover that lot of belongings you have is not worth the money it costs to ship. People in general buy more stuff than get rid of and we had a decent size home in Auckland that we lived in for 6 years. When we had to make a decision we were quite astonished by the amount of stuff that we had that we actually didn’t need. Like us a good step would be to go through all your furniture, kitchenware, clothes, etc. and decide what you need and then the next step is to decide if will be worth shipping it. Certain things would not make sense example a bed, it would be more economical if you sell your bed in New Zealand and buy a new one in Australia simply based on its size. Each cubic meter you add will cost you more money. You can use your trusted friend Trademe to sell your things, it worked wonders for us. Once you have gone through and decided what you need to bring, make sure you work out how many cubic square meter it will be. The final step is to contact the relocation companies and ask them for a quote. We got quote from few and chose grace who worked out to be the cheapest one. Crown has a good review, however they worked out to be lot more expensive. Domain and Realestate are the best resources for buying or renting a place. The rents are slightly higher in major cities like Sydney, Melbourne, Brisbane compared to New Zealand cities. Also during the time I applied there was lot of competition for good properties, this is something you have to be prepared for. I have heard cases when tenants were offering more rent than listed to get their desired property. Also the process of applying for rent is harder, it requires lot of paper work. You need to submit your employment details, bank statements, references, I actually felt it was easier to apply to a bank for mortgage than to apply for a house for rent. Things are better now I think, maybe the property boom is the culprit with more people choosing to buy a house and in turn driving the house price sky high. Also to note the tenancy agreements and application process might differ from state to state and so would the tenancy laws. In my case I decided to come to Sydney by myself for a month to arrange a place for rent. Renting a house is not that easy as you have to decide the suburb first and if you have kids then choosing the right suburb with good schools is a critical decision you have to make. The usual tenancy contracts are for a year or 6 months at least, and relocating is a difficult task, so I would advise you to take your time, stay at a temporary location like homestay or motel till you decide the suburb and find a house. It might seem like a more expensive option, but trust me it will save you lot of hassles in the long run. Make sure you file for TFN no. as soon as you arrive. TFN no. is just like IRD number that we all have in NZ. It’s a simple form to fill and you can do it all online. It takes a week to two to get the number. As soon as you start the job and before your first pay you will have to give this number to your employer. Also please note that now you will be a resident of Australia for tax purpose and if you have properties or business in New Zealand you will need to pay tax in Australia as well. Also to note, Australia and New Zealand has double tax laws agreement. Best thing would be to contact an accountant who will help you with understanding the tax implications. The tax brackets for personal tax is similar to NZ. Also 9.5% of your salary goes to your superannuation. For more details check the Finding a Job section. You can open up a bank account from New Zealand so you can transfer some money. All you need to do is fill up a form online and the bank will open an account within a day or so however, it’s not active. You can transfer money to your new account as well so the moneys in your account but when you come to Australia then you need to go to the bank and show them your id (usually passport) and then you get activated and you can withdraw the money. I was banking with Westpac in New Zealand, however Westpac Australia didn’t allow me to open up an account from New Zealand which was a bummer, CAB were more accommodating. We ended up opening an account with them and are banking with them now Please check our transferring money to Australia section. As a New Zealand citizen you can live and work in Australia indefinitely without applying for a visa provided you meet security, character and health requirements. People with criminal convictions or serious health problems such as Tuberculosis will need to check with the Australian High Commission before travelling to see if they meet these requirements. 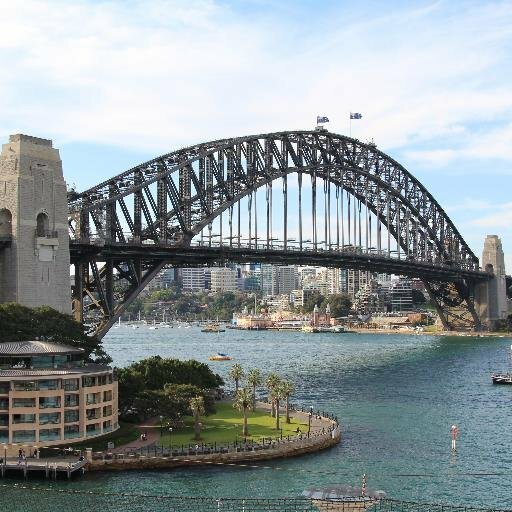 As you enter Australia, you will receive a SCV (Special Category Visa). You don’t need to apply for a visa, there won’t be any stamp on your passport when you land in Australia either this visa is implied. If you are a resident of New Zealand but not a citizen, the situation is different and the visa rules will be similar to the country which you hold your passport. So in short you will need to apply for a work visa or an Australia residency application. There are certain things to think about as SCV will not grant you the same rights as Australia Residency, Also if you partner doesn’t have New Zealand citizenship, you will need to apply for a special spouse visa. Since 26th February 2001 if you are a New Zealand citizen you will be issued with a Special Category Visa (SCV) when you arrive at the airport in Australia. (See guidelines below) This temporary visa will allow you to stay and to work in Australia for as long as you wish, provided you remain of good character. New Zealanders who were in Australia prior to the 26th February 2001 have the same rights as permanent residents in Australia and they retain these rights. 1. Access certain benefits provided by Centerlink such as Unemployment or sickness allowance (The only exception is that if you arrived in Australia on a New Zealand passport after 26 February 2001 and you have been living in Australia for ten continuous years since 26 February 2001 then you may be eligible to receive payment of Newstart Allowance for up to six months. 3. Sponsor their family members for permanent residence. New Zealand citizens who were in Australia on 26 February 2001 as SCV holders or were outside Australia on 26 February 2001, but present in Australia as an SCV holder for at least one year in the two years prior to that date are not affected by these changes and are classified as protected SCV holders which means they qualify as Australian residents and can access the full range of Centrelink social security payments provided they are currently residing in Australia and meet certain criteria. I have checked my husbands and my children’s passport and there is no SCV tags on there so I’m assuming the immigration just scan it through electronically when they swipe the passport or when you go through the SmartGate systems. You are eligible to use SmartGate if you hold an Australian, New Zealand or UK ePassport and you are aged 16 years or over. If you don’t have New Zealand citizenship and you want to come and work in Australia you can apply for a work visa so you can work here. If you are coming for travel maybe you want to come and see the place before deciding on whether or not you want to migrate here, you will need a visitor visa, certain countries are exempted for visitor visa which means you don’t need to apply for a visitor visa and you can visit for few months and then go back without a visa but you can’t work only visit. For anyone wanting to come and settle you will need either a work visa so you can work here or you will need a residency so you can come to live and work. If you want to come and study here then you can apply for an Australian student visa. Your student visa will allow you to work for limited hour’s whist you are studying. A student visa is valid for as long as your course is valid plus one month (28 days after the last day of class) you must be over 16 to require this visa. Wish to receive full access to Australia social secure benefits i.e. unemployment or sickness benefits. Please note that if you are a new resident in Australia then you need to wait 2 years to receive these benefits however it does not apply to family assistance payments. Wish to become an Australian citizen. Wish to sponsor family members in their applications for permanent residency. If you hold a Special Category Visa (SCR) under the non-protected category then you might need to apply for permanent residency. In our situation my husband and I and our 2 children moved to Australia in 2012. We just completed 2 years. My husband and children are New Zealand citizens so they all have SCV. I on the other hand have a temporary resident visa subclass 461 as I’m not a New Zealand citizen. This means that I have the option to reapply for my Temporary visa 461 for a further 5 years or choose to apply for a Permanent Residency. Let’s take the 175 independent skilled migrant visa. The 175 is a good option if you qualify as it is a permanent visa and you can apply for it in Australia. It’s also important to note that if you come to Australia on a SCV or 461 and you don’t; fall into the high-skills category, you can work in Australia, but it may be more harder to become a permanent resident, In order to qualify for a permanent residence visa, the applicant is generally required to be under 45 years of age, with skills and qualifications that meet the Australian standard for an occupation on the Skilled Occupation list, and with relevant work experience. If my husband wants to apply for Permanent residency the same would apply to him. He would also need to find a visa that would be applicable to him. I personally think that for any New Zealander who wants to move to Australia you really need to consider what type of support you are looking for before making the decision to settle in Australia permanently. You can go to the Australian immigration website http://www.immi.gov.au click on one of the tabs applicable to you e.g. “Work in Australia”, “Live in Australia” etc and then use the visa finder tool to help you to find the right visa for your needs and requirements. You will need to fill in a series of boxes selecting from the drop down options available in each box, e.g. Apply from age, temporary/permanent, length of stay etc and it will tell you what visa would be applicable for you then you would need to investigate further. If you want to look up information about a specific visa you can use the search box located in the top right hand corner and it will tell you what is available for that. Click the link that applies to you and information about that visa will be displayed about how long, what you have to do, what you’re entitled to with that visa, information for visa holders explaining your rights and obligations etc. The department of immigration can’t give advice on which visa is best for you but they can provide you with information on visa options and point you in the right direction to find information to help you choose the right visa. It is important to understand that if you decide to apply for a visa it’s your responsibility to make sure you meet the minimum requirements before submitting your application. A lot of New Zealanders working in Australia don’t know this but they can apply for permanent residence through the Employer Nomination Scheme (ENS) visa. This visa is a Permanent resident visa for skilled workers who want to work in Australia and that are sponsored by their Australia employer. It is a common approach for 457 visa holders to qualify for permanent residency but has a higher skill level than 457 visa. If the applicant has been working in Australia for 2 years then they qualify for the ENS visa. There is a two step process that needs to be followed when applying for the ENS visa application. Firstly the applicant needs to have an approved nominated employer and secondly once the nomination has been approved the application must be lodged within 6 months under the correct entry nomination stream. The ENS visa has three possible pathways to qualify for the visa application which could include skills assessment, English language testing, police checks and health checks. 1. The Temporary Residence Transition stream is for employees who have been working on 457 visa’s for two years in the same occupation with their nominating employer and who wants to offer them a permanent position in that occupation. In this case no skills assessment would be reuired. 3. The Agreement stream is for people sponsored by an employer through a labour agreement. Successful visa applicants under the Employer Nomination Scheme become permanent residents of Australia. Australian permanent residents are entitled to live, work and study in Australia on a permanent basis. Additional benefits of Australian permanent residence include access to government-subsidised healthcare (Medicare), certain social security benefits and the ability to apply for Australian citizenship. New Zealand citizens who are not in Australia at the time of applying and want to settle permanently in Australia can (as an alternative to the SCV/visa 461), if eligible, apply for an appropriate subclass of migrant visa and include members of the family unit in that migrant visa application. 1. Employer sponsored visas – requires you to find an employer in Australia who needs your skills and is willing to sponsor you to come here to work. This means you have a job waiting for you when you arrive in Australia. 2. Points Tested visas – you have to demonstrate that you can contribute positively to the Australia economy. You have to pass a points test, a skills assessment and meet other basic eligibility requirements such as English language ability. There are minimum requirements you must meet to be eligible to apply for a skilled visa. You must work in a specified occupation and your skills must be recognised in Australia. You also need to have a high level of English language ability and meet the age health and character requirements. Depending on the visa you may have to be sponsored by an Australia employer, family member living in Australia or a state or territory government sponsor as part of your application. If you are a permanent resident or a protected SCV holder, you can apply for Australian citizenship. If you are a New Zealand Citizen living in Australia your eligibility for citizenship depends on when you arrived in Australia. Although New Zealand citizens can live and work in Australia indefinitely, you must still apply to become an Australian citizen. If you hold a Special Category Visa and arrived after 26th February 2001 as in our case then you will need to apply for and be granted Permanent residency if you wish to obtain Australia citizenship. We hope you found this guide informative and useful and should you have any questions we are always happy to help. You can use the form below to send us a message.